Frontiers of Innovation: Launched in May 2011, Frontiers of Innovation (FOI) focuses on the work of a community of researchers, practitioners, policymakers, philanthropists, and experts in systems change from across North America. SFTA strongly supports FRCs and the important information and services they provide to children and their families throughout Wisconsin. 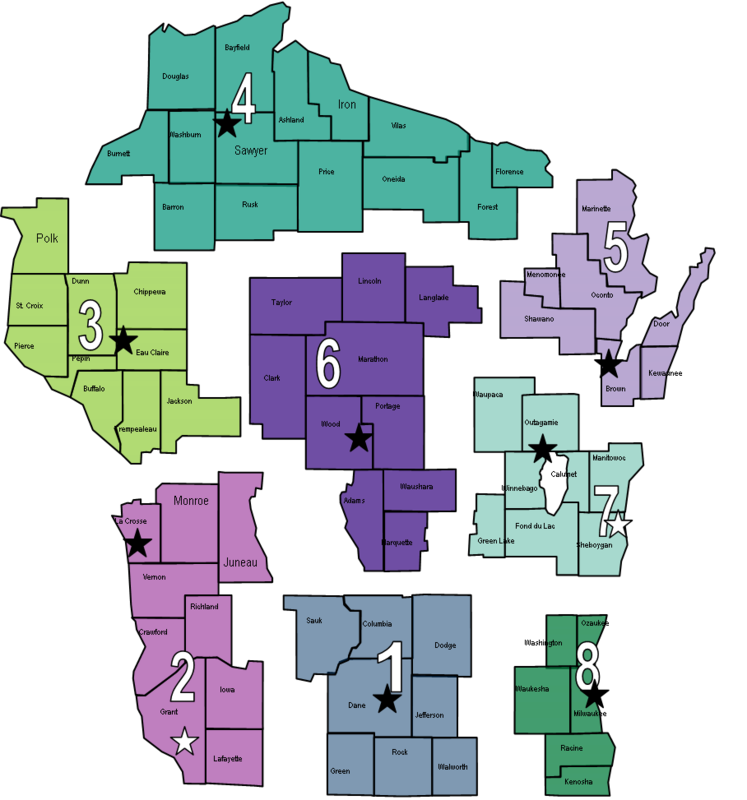 That is why is SFTA is constantly working to expand and refine the support services of current FRCs, and to eventually establish an FRC in every Wisconsin county, so they are as widely represented as CCR&Rs. As a part of this effort, SFTA is focusing on promoting awareness of FRC services and what they provide to Wisconsin families, so as to establish the need for increased funding and other supports. These goals cannot be reached without the help of individuals and organizations who support strengthening Wisconsin children and their families. Please see our Invest In Early Childhood page to see how you can help support FRCs through SFTA initiatives and efforts. See our Find a Family Support Position page for current FRC job openings. Developing and maintaining CCR&Rs within every county in Wisconsin has taken an enormous amount of continuing community support, funding, and hard work on behalf of supporters, such as SFTA, of early child education in Wisconsin. The services offered by CCR&Rs are essential to helping parents gain access to high-quality education and care for their children during their early formative years. It is crucial that the current network and individual efforts of CCR&Rs not only be sustained, but that the services they provide to the parents of Wisconsin’s youngest children continue to be refined and built upon. SFTA endeavors to provide the foundation for that sustained development through a responsive support of CCR&Rs and by ensuring continued support from the Wisconsin communities CCR&Rs serve. Please see our Invest In Early Childhood page to see how you can help support CCR&Rs through SFTA initiatives and efforts. See our Find a Child Care Resource and Referral position page for current CCR&R job listings. Early Childhood coalitions are alliances of individuals and organizations within the early childhood field, or a related field, based on a combined action or shared interest. Additionally, coalitions with varying focuses, such as nutrition and physical activity, are also welcoming the participation of early childhood representatives as early childhood offers the unique opportunity of prevention. Coalitions such as these provide a much needed network of support, steady flow of ideas, and a more standardized methodology that allows individual and group efforts to have more of an impact. As such, coalitions are an important aspect of development and sustainability within the early childhood field. Wisconsin Early Childhood Collaborating Partners is a group consisting of community, state, and regional entities that focuses on early care and education, access to health and medical home, mental health and social emotional development, parent education, and family support. Great Start: Early Learning Matters is a state-wide campaign of the Wisconsin Early Learning Coalition, of which SFTA is a member. This coalition focuses on promoting public policies and investments that make high quality early care and education a top priority in Wisconsin. Find your local Nutrition and Physical Activity Coalition. The Wisconsin Breastfeeding Coalition aims to improve the health of Wisconsin by working collaboratively to protect, promote, and support breastfeeding. Find your local breastfeeding coalition. SFTA aims to strengthen existing early childhood coalitions and to continue to build new ones. As a state-wide organization, SFTA is in a unique position to forge connections between individuals and organizations that cross geographical and other barriers. SFTA is currently in the process of strengthening and building such connections between and amongst Member CCR&Rs and FRCs, as well as with other organizations and community or business members that support Wisconsin’s youngest children and their families.